Priced below FHA appraisal & WAY below VA appraisal! At this price & all of the NEW features, view & in GREAT CONDITION-MOVE IN READY YOU WON'T FIND A BETTER VALUE! BRAND NEW A/C System-Nov 2018! LARGE LAKE VIEW! 50 ft lot section of Carriage Pointe for extra peace & breathing room. 5 bedrooms with the master on the main floor makes this one very special. 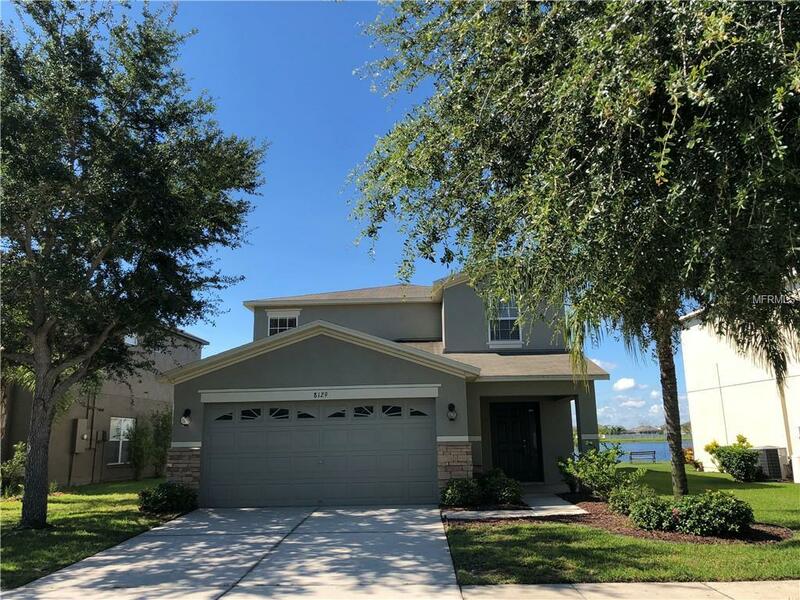 The living/dining room combo & master have new LUXURY VINYL PLANK flooring, the kitchen has GRANITE & STAINLESS appliances-a newer oven & dishwasher (2017) & BRAND NEW never used REFRIGERATOR & MICROWAVE. Plenty of room in the kitchen for your breakfast table. The STORAGE in this house is out of control! You'll find a HUGE walk in closet in the master along with storage under the stairs, entry closet, pantry, & great sized closets in all 4 bedrooms upstairs. The upstairs BONUS ROOM is huge as well-PERFECT for a FAMILY or GAME room. The 2nd bath rounds out the 2nd floor. There's a 1/2 bath downstairs along with a SEPARATE LAUNDRY ROOM (& ANOTHER closet.) The LANAI was EXTENDED, SCREENED in, 1/2 covered & 1/2 sky view. Exterior & interior were FRESHLY PAINTED in 2016/2017, new irrigation timer box added in 2017, lots of ceiling fans, lights, blinds, security system, mature landscaping, etc...When you compare it to a brand new home, it shines up pretty well & there's no waiting! Community pool, fitness, clubhouse & playground. Fantastic location for easy commute to MacDill, new multiplex theater, shops, restaurants, etc.. Fast, popular growing neighborhood! Listing provided courtesy of Sun Drenched Properties Llc.